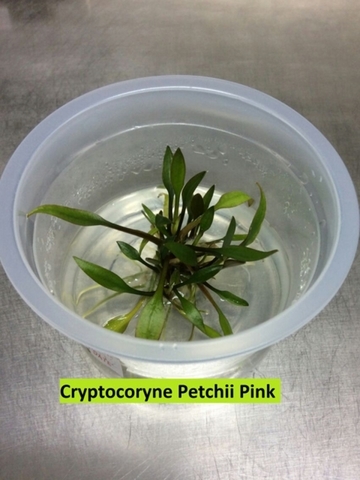 The triploid form of Cryptocoryne beckettii was originally described as a species on its own, namely Cryptocoryne petchii. 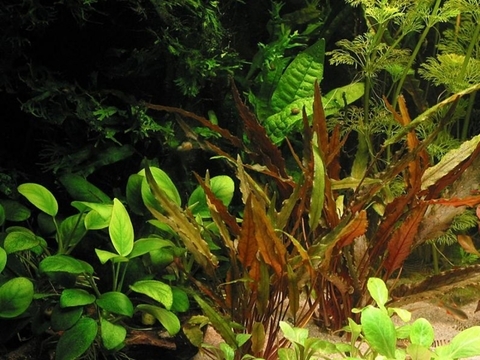 However, this beautiful and very widely spread plant, which belongs in the C. wendtii group, is readily available and has been in use in aquaristics for over 60 years. It is very easy to cultivate, and possesses the typical characteristics of a Cryptocoryne from Sri Lanka. It adapts well to soft as well as to hard water, light is relatively unimportant, even though it grows better under more intensive light. The brown-green rosettes that form soon after the plant is placed in the tank spread quickly and form dense bushes. Nutrient-rich substrates enhance growth. The plant reacts nicely to ample fertilisation and to CO2, but it grows sufficiently well without these components, too. It may be cultivated emersed in moist substrates rich in nutrients, where it is known to flower. When cultivated emersed, it is recommendable to spray daily with water. The propagation of C. becketii is not difficult. It forms runners on its rhizome, which can be cut off and replanted. Most Cryptocoryne species from Sri Lanka are predestined to grace the middleground of an aquarium and can be kept in form by trimming very well. 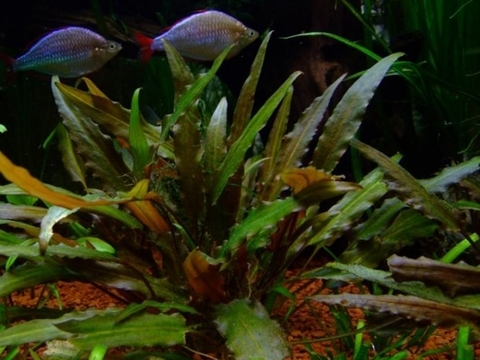 With its reddish-brown leaves and the slightly wavy leaf rims, this species contrasts very well against other plants.